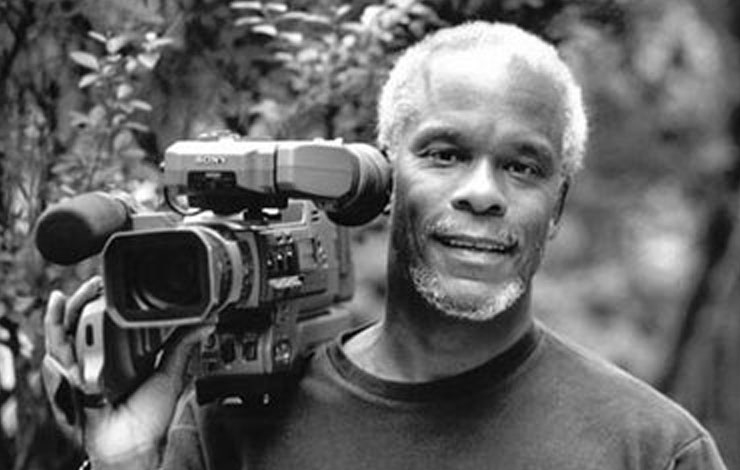 In the beginning, there was Stanley Nelson and his production company, Half Nelson Productions. Nelson's focus has been documentary films about the African-American and minority experience, and his resume is peppered with accolades such as a MacArthur "Genius" Grant, a Peabody Award, Emmy Awards and a place on the selection panel for the Fulbright fellowship in film. His wife, Marcia Smith, came to documentary film following stints in politics and philanthropy. Although she had studied film production, she didn't really start in documentary until she worked with Nelson on The Black Press: Soldiers without Swords (1999). The two brought different skills to the table; Nelson is a seasoned producer/director and Smith is a writer. It was after working together on The Black Press that the couple decided to fulfill a dream and formalize their working relationship. The result is Firelight Media (www.firelightmedia.org ). Firelight Media's objective from the start has been to tell stories of people, places, cultures and issues that are under-represented in the mainstream media. Nelson explains that his company wants to take on projects that are interesting, exciting and entertaining, but that may otherwise never see the light of day. Since establishing Firelight Media in 2000, Nelson and Smith have collaborated on a number of high profile films including The Murder of Emmett Till (2003), A Place of Our Own (2004), Sweet Honey in the Rock: Raise Your Voice (2005) and the recently released Jonestown: The Life and Death of Peoples Temple. "We're very much interested in films that have a point, and have some kind of social action piece to them," Nelson explains. Take Jonestown: The Life and Death of Peoples Temple. This is a striking film about a historical event that still has reverberations today. The film presents a fresh and quite disturbing look at Peoples Temple, headed by preacher Jim Jones who, in 1977, led more than 900 members to Guyana, where, a year later, he oversaw a mass murder-suicide by poisoning his congregation with cyanide-tainted Kool-aid. "For me it's not just about this thing that happened in 1978," says Smith. "It's about how people look at religion and religious leaders, how people exercise judgment or go way down the wrong path. It's about how people want to be part of something that's bigger than them. All those things are very relevant to a time in which religion is a very powerful force in society." Now more than ever, documentary plays an important role in informing people what's really going on around them in society, explains Smith. To this end, Firelight Media's mission is more extensive than producing films; maximizing the impact of the documentaries that the filmmakers have produced through outreach is a very important facet. A case in point is The Murder of Emmett Till, about a 14-year-old black boy from Chicago who was brutally murdered in Mississippi in 1955 after whistling at a white woman. Even though the killers were arrested and charged with murder, they were acquitted by an all-white jury. The murder and the trial shocked the nation and sparked the Montgomery bus boycott, and subsequently the Civil Rights Movement. It was out of that screening and discussion that Firelight Media developed a campaign encouraging people to send a postcard to the Mississippi and US Attorneys General urging them to re-open the case, which they did, in 2004. The Murder of Emmett Till is a pretty dazzling example of the way in which outreach can impact society. Even though Firelight has had a strong history of outreach, it was never a formal part of the organization, but because of the personal and institutional relationships that Firelight has made within the African-American community, particularly with black colleges and universities, civil rights organizations like the NAACP and the Legal Defense Fund, over the years many organizations and institutions have come to Firelight to create content for important issues. Now outreach is a formal part of Firelight Media, and Sonya Childress is on board as a full-time outreach director. Childress came to Firelight from Active Voice, a nonprofit started by Ellen Schneider, the former executive producer of P.O.V., public television's showcase for independent documentary films, and a pioneer in helping to turn outreach into its own discipline. Childress, who worked with Schneider for six years, brings with her loads of experience and innovative ideas. "Outreach is not a new concept, but strategies have become more creative and the level of sophistication has grown," says Childress. "Outreach exists on several levels: it can inform people and change their lives, it can change attitudes in the community and it can influence policymaking. Furthermore, funders now expect filmmakers to have some kind of outreach plan before the film is even completed." Mentoring filmmakers on their projects is now another essential aspect of Firelight's mission. In the past, filmmakers would come to Nelson for guidance on their films--for advice on editing, story development, funding or outreach. Nelson and Smith realized that this informal mentorship could be formalized. "I'm really dedicated to trying to help the next generation get its foot in the door," says Nelson. "So I've been working with other filmmakers as executive producer or advisor/consultant on different projects." Beyond Beats and Rhymes by Byron Hurt is an ideal example of the mentor program. The film, which premiered at Sundance in 2005, is a thoughtful look at hip-hop culture, and it addresses black masculinity, gender violence, homo-eroticism and violence in the African-American community. This is Hurt's debut feature film, and Firelight Media has helped to create an extensive outreach program, collaborating with ITVS and the National Black Programming Consortium. "We're sort of positioning the outreach campaign as an opportunity to reach young consumers--who are the main consumers of the art form--in some thoughtful reflection and dialog around the impact of the music on their lives and in their relationships with one another across gender, within their gender groups, across generations and in their community," says Childress. "This film could make a sea change in how young people understand and internalize and participate in this increasingly violent and self-destructive culture." Another facet to outreach and mentorship comes in the form of projects that have no direct connection with Firelight Media during production, yet the filmmakers are interested in working with the organization on outreach. Matt Mochary and Jeff Zimbalist's Favela Rising, about one man's efforts to elevate life in the harsh favelas of Rio de Janiero, is an example of this kind of collaboration. The plan is to develop an international outreach campaign that would entail finding community partners in three countries that would be interested in using the film, developing cultural exchanges and working with the organization that is featured in Favela Rising. The countries are Africa, Columbia and Jamaica. This enables Firelight Media to take the next step and not just develop a national outreach campaign, but to see if the model that has been so well developed over the last several years in terms of domestic outreach can work on an international level. Childress is based in New York, while Nelson and Smith have relocated to California. In essence, Firelight Media is now bi-coastal, which was born out of a desire for change and geographical necessity. Nelson and Smith wanted to move to California--and did so around the time they were making Jonestown, where much of the research and production took place--but they knew it was necessary to maintain a presence in New York. Much of Nelson's work is rooted in Harlem, and many of the national organizations that Firelight Media engages with are located on the East Coast. Furthermore, New York has a much stronger African-American film community, including the Black Documentary Collective and the National Black Programming Consortium. "I would say there's a much larger community of filmmakers in New York, and more important, probably for us, there's a much larger community of African-American filmmakers, and filmmakers of color," says Nelson "So you don't feel like you're so alone as an African-American filmmaker." On the other hand, Nelson and Smith maintain an office in the Saul Zaentz Fantasy Building in Berkeley, so they are around filmmakers on a daily basis, which wasn't the case in New York. Being bi-coastal isn't easy for the couple--especially when you're sitting in the middle seat for six hours on Jet Blue. "It's not all it's cracked up to be," says Nelson. "But in some ways, for us it's really exciting. Look, we're based in New York and the Bay Area, so what could be better?" Smith concurs: "I think it has given me a more expansive viewpoint. That always happens when you travel. If you stay in one place you think that's how the world is. But to me it's the best of both worlds." As Firelight Media looks toward the future, it is brilliant with the glow of innovation and vision. Laura Almo was a screener in the World Documentary category for the 2005 Sundance Film Festival. She has also taught Real Stories, Sundance Institute's Youth Documentary Workshop at Spy Hop Productions.